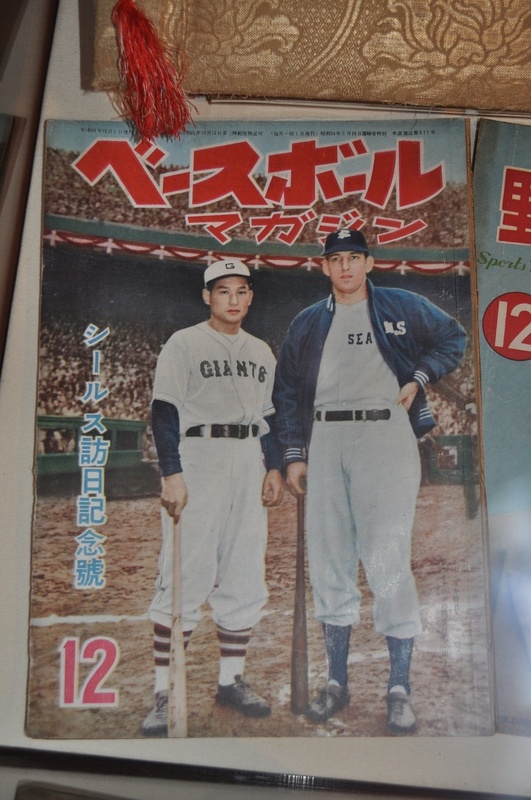 In Baseball > Show & Tell and Advertising > Show & Tell. 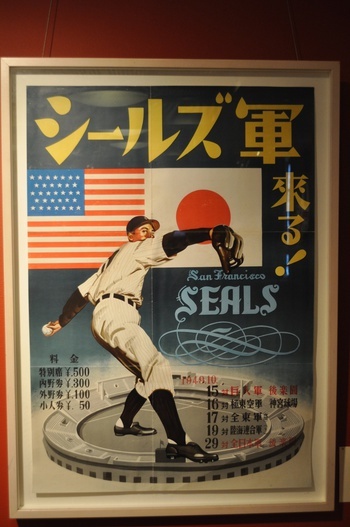 The goodwill tour of Japan taken by the San Francisco Seals in 1949 was a big deal to the Japanese people. There is a vast supply of these ads at the Society of California Pioneers, which I visited last week. As you can see, some in Japan were truly excited to welcome the Seals, especially their manager Lefty O'Doul who was, and remains, a legend there. 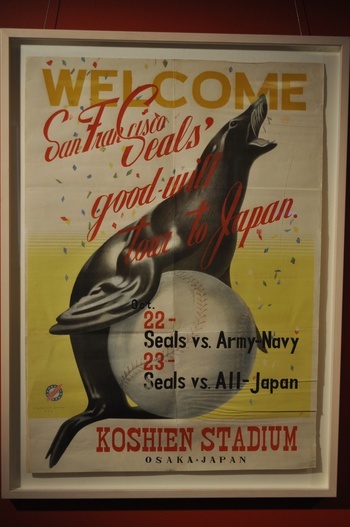 Love the poster of the Seal! 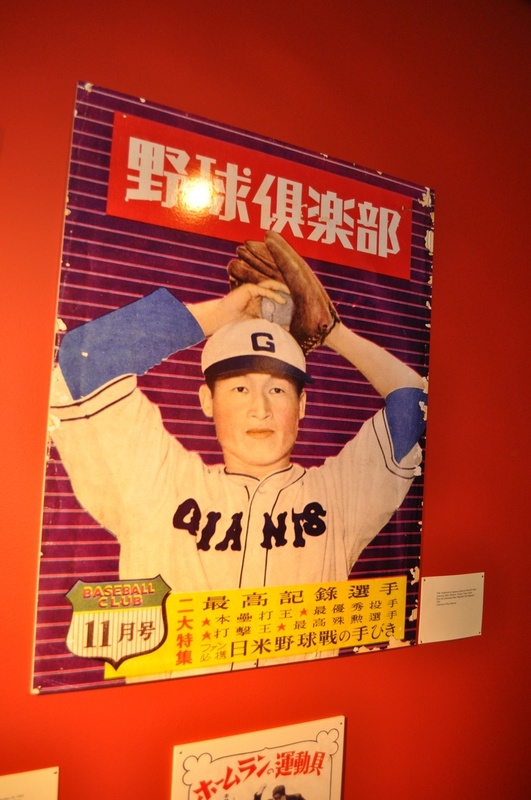 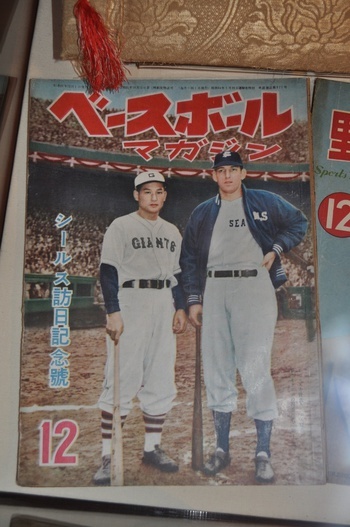 San Francisco, of course, has another important connection with Japanese baseball The first Japanese player ever to play in the Majors played with the Giants. If you're int he Bay Area that event at the bottom could be fun.